Trend Tablet is a social media platform founded by Lidewij Edelkoort and edited by Cécile Poignant. This interactive tool explains where trends come from, how they evolve over time, and what role they play in our lives and futures. At www.trendtablet.com, you’ll discover Lidewij Edelkoort’s most recent projects, learn where and when you can attend live presentations, and take part in a lively community of fellow designers, trend hunters, and innovators. WHO IS BEHIND TREND TABLET? Trend Tablet is managed by selected members. Cécile Poignant is the editor. HOW DO I NAVIGATE TREND TABLET? ABOUT: Learn more about Trend Tablet. EVENTS: A calendar with all of Trend Union’s upcoming events, exhibitions, and lectures; plus, find out where Lidewij Edelkoort is traveling next! 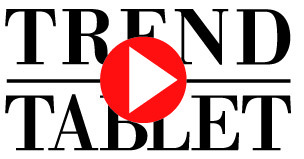 CONTENT: Browse Trend Tablet’s collection of current trends. Simply scroll over images to learn more! CONTACT: We love hearing from you. Please email your comments or ideas to cecile@edelkoort.com. Become a fan of Trend Tablet on Facebook and get access to additional content, including behind-the-scenes images from our photographers, film outtakes from our directors and more. Follow Trend Tablet on Twitter for daily exclusives! Subscribe to our newsletter for automatic updates, delivered right to your inbox. We love hearing from you. If you’re interested in submitting content for Trend Tablet or wishing to contribute, please email your ideas to our editor at : cecile@edelkoort.com. Your comments and feedback are also greatly appreciated!